Download a fact sheet that contains basic information about microscopic colitis. Download guidelines to help in selecting foods for a customized recovery diet for treating microscopic colitis. Download information describing how proton pump inhibitors (PPIs) interfere with digestion and actually make acid reflux more likely to occur. Helpful tips are included for weaning off PPIs and preventing acid reflux without the use of drugs. Download the latest guidelines from the American Gastroenterological Association Institute for the medical management of microscopic colitis. 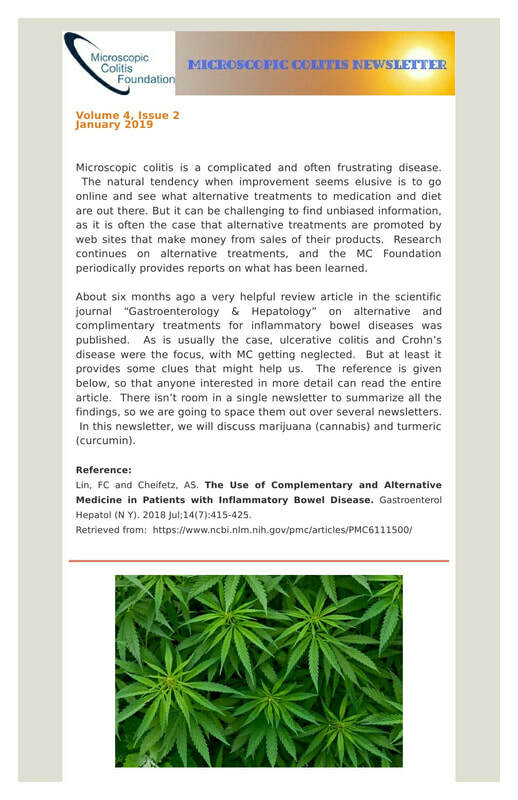 The Microscopic Colitis Foundation Newsletter is published quarterly, free of charge. To sign up to have the newsletter sent to your email address whenever a new issue is published, click on this link.